Today’s society continues to face severe water pollution and scarcity problems. Even emerging countries generate more than a billion tons of wastewater every year and the amount is expected to grow due to rapid urbanization and industrialization. Fortunately, many governments have stepped up their efforts to improve the regulatory framework for modern wastewater management and with the assistance of Advantech’s solutions Waste Water Treatment Plants they can leverage their existing networks, hardware, and software. By introducing remote control and fiber optic communication as well as integrating management systems and reducing management costs, they can bring water treatment plants into the 21st century. Waste water is composed of water and some dissolved or suspended solid matter, and therefore needs to undergo a multi-stage treatment process to clean it before it’s discharged or reused. The process involves numerous phases, including: screening, pumping, aerating, sludge and scum removal, the killing of bacteria and the removal of waste water residuals. In response to such a complex procedure, the wastewater treatment plant often covers a very large area and has several buildings in which to install various for sewage sludge treatment facilities. Sometimes, these can be many kilometers apart: causing difficulties with continuously monitoring the equipment’s status. Meanwhile, a wide variety and a large amount of equipment with poor interoperability also caused maintenance problems. Because of these issues, the plant planned to upgrade its system using fiber optic communication and a remote monitoring solution to enhance the level of system automation. 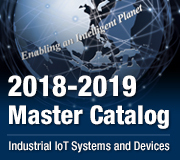 Advantech’s industrial grade EKI-1521 is a serial device server designed to connect RS-232/422/485 serial devices to an IP-based Ethernet network. When the EKI-1521 receives the incoming serial data from the AIS receiver, this module can send the data to the service providers using the UDP or TCP protocol, and then the information can be forwarded to the clients. The EKI-1521 supports multi-access features which allows the same serial AIS data stream to be distributed via UDP or TCP to up 16 different hosts or service providers. An EKI-1521 is also able to have its firmware quickly updated via its easy-use software utility. Advantech provided a remote and centralized monitoring system for this case. 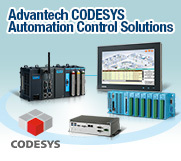 The system can be divided into two major parts: on-site data processing and collection, and SCADA/HMI control operation. For on-site data processing and collection, Advantech APAX-5017, APAX-5040, and APAX-5046, I/O modules, are implemented to collect data, and then the EKI-2526S industrial-grade Ethernet switch, is used for data transmission. The APAX-5017, Analog Input Module, is used to collect pH meter and water level data while the APAX-5040, as a Digital Input Module, monitors the status of the water level and pump, and sends the alarm to control center when there’s a malfunction. The APAX-5046, Digital Output Module controls the on/off buttons of the pumps and field devices. All the data is then sent to the compact and robust APAX-5520KW controller, which supports customized waste water treatment functions to develop an entire waste water treatment process, such as: metal, aerating, sludge and scum removal, the killing of bacteria and the removal of waste water residuals. The other support logic control functions are for the pump, motor, valve control and the transferring of the parameters to the control room via an EKI-2525 unmanaged industrial Ethernet switch. At this data collection stage, fiber-optic communication plays a critical role in enabling the plant to expand its industrial network quickly and cost-effectively because EKI products support high-speed and long-distance transmissions. Meanwhile, with a high performance processor and large storage capability, the APAX-5520KW can act as a standalone controller for controlling I/O modules so as to provide local control features. For remote management, Advantech provided a TPC-1270 12.1" SVGA LED LCD Celeron M/ Touch Panel Computer, with HMI/SCADA Software and Advantech WebAccess, to display all kinds of data immediately, therefore allowing engineers to remotely tune or manipulate the on-site equipment operations in the control center. The system also provides real-time alarms, historical data analysis, data sharing, automatic report generation, and many other management functions to meet the plant’s monitoring requirements as well as reaching the goal of centralized management and distributed control. Compared to a traditional copper cable network that was limited to 100 m, optical fiber communication can support a transmission distance of up to 30 km. 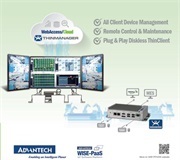 The critical treatment functions are executed by a powerful PAC APAX-5000 controller whilst monitoring and operations are executed using Advantech WebAccess SCADA software. This makes Advantech’s solution the ideal choice for waste water treatment plants. 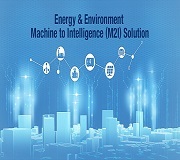 Additionally, Advantech’s devices are industrial-grade designs, assuring high reliability and stability in harsh environments. 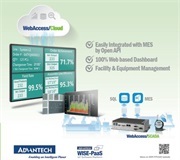 Furthermore, based on Internet / Intranet environment, Advantech WebAccess has accomplished the purpose of remote control and centralized management allowing users to easily view, control, and configure the automation equipment in the plant.